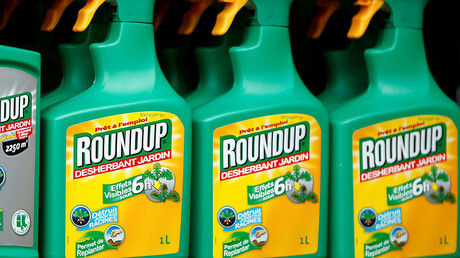 The EU has managed to prolong the license for Monsanto’s controversial glyphosate weed killer for five years with Germany’s unexpected support, but the French president vowed to ban it in France within three years. “I have asked the government to take the necessary measures for the use of glyphosate to be banned in France as soon as alternatives are found, and at the latest in three years,” Macron said on Twitter, supplementing the statement with the hashtag #MakeOurPlanetGreatAgain. Macron made his announcement following the tight vote in Brussels, when the EU prolonged the license for the controversial substance for five years. Monday’s vote ended months of indecisiveness, as 18 out of 28 European countries approved the extension of the chemical’s usage. The European Commission could, in theory, extend the license by itself, but it said it wanted the member states themselves to decide the controversial issue. Eurocrats have already praised the decision. “Today’s vote shows that when we all want to, we are able to share and accept our collective responsibility in decision-making,” health and food safety commissioner Vytenis Andriukaitis said. The decision is an apparent defeat for France, which has been pushing for a shorter license prolongation period of three years. The swing vote which decided the fate of glyphosate, widely known under the Monsanto agrochemical giant’s brand name RoundUp, came from Macron’s key EU ally Germany. Berlin has been abstaining from voting during Brussels’ previous attempts to renew the license, which is set to expire on December 15. To extend the license, the EU required the votes of at least 16 member states, representing at least 65 percent of the bloc’s population. Even with such a major country as Germany voting in favor of the weed killer, the 18 supporters barely surpassed the threshold, scoring 65.7 percent. Apart from potentially worsening relations with France, Berlin’s surprise decision may contribute to the ongoing domestic crisis in Germany itself. As Chancellor Angela Merkel has failed to form a coalition with the pro-business Free Democrats (FDP) and the Green Party, the Social Democrats (SPD) remain her only option to remain in power and avoid looming new elections. The SPD has already reacted angrily to the glyphosate vote outcome, with Environment Minister Barbara Hendricks from the party accusing Merkel and her party of reneging on a deal to continue abstaining. While glyphosate has been heavily used worldwide for decades already, the weed killer has been at the epicenter of heated debates since 2015, when a study by a World Health Organization agency, the International Agency for Research on Cancer (IARC), emerged, linking the chemical to cancer cases. While several other studies refuting the findings have been published since then, the critics dismissed them as biased in favor of agrochemical corporations, namely the American giant Monsanto. 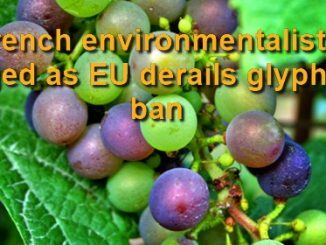 The EU has conducted its own study into the matter, and the European Chemicals Agency (ECHA) has evaluated in March this year that the glyphosate “did not meet the criteria” to be classified as a carcinogen, a mutagen, or as toxic for reproduction.